Roofs in Northern Virginia, Maryland, and Washington, D.C., are subjected to a wide variety of weather conditions, so they need to be well-crafted with the finest materials available. Since 1981, Shiner Roofing, Siding and Windows has been committed to providing professional, reliable roofing service while working only with the most reputable manufacturers in the business. That means the roofs we install are built to last, and because of our sterling reputation with manufacturers like CertainTeed and GAF, we are able to offer our customers some of the best workmanship warrantees in the industry – 10 to 25 years on workmanship for certain roofs. Our roofs are installed under the supervision of roofing foremen with decades of experience in the Northern Virginia region. Because we have demonstrated a consistent level of expertise and have completed more than 16,000 roofs over the past three decades, we have earned the distinction of being named a CertainTeed Select Contractor and a GAF Master Elite Contractor. Very few contractors achieve both of these levels of recognition, which are awarded only to roofing companies that use the finest materials and demonstrate a mastery of the craft over an extended period of time. What it all means is that you can rest easy knowing that Shiner roofs are a cut above the competition, whether you need a new roof installation for your home or industrial roofing for your business in Oakton, Reston, Falls Church, Potomac, Leesburg, or elsewhere in the region. Shiner does more than roofs, though. As a licensed contractor in Virginia, Maryland, and the District of Columbia, we also install replacement windows, gutters, attic insulation, doors, siding, and more. In addition, we are available for emergency roof repair, with 24-hour service, seven days a week. 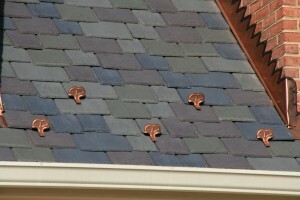 And unlike other roofers in the area, much of our repair work is under warranty. Contact us today to learn more about working with the premier roofing contractor available in McLean, Great Falls, Georgetown, Vienna, Bethesda, Silver Spring, and communities throughout Northern Virginia, Maryland, and Washington, D.C.